Today was a trying day. So I'll tell anyone who will listen about our Mabel girl. Some days I don't know if I'm in an accepting swing of this journey or just the leg that is denial at it's greatest. Either way, it's called coping and a person will do whatever it takes to make it through the day. We're all just doing our best. But then out of nowhere, in the sweetest and most tender voice, Nora told me she needed to talk to me about something. And I wasn't prepared. I have thought about moments like this but until they happen you truly have no idea how to set yourself up for it. Sometimes I'm really sad that Mabel can't do things, mom. Like she can't walk and she can't talk. She just lays around and even though I love her so much, I still get really sad sometimes that she can't do things.."
dying. speechless. tears. more dying. I didn't say much. I wafted through it and then did what any person on the brink of an emotional breakdown would do. I called Aunt Rachel and I let her handle the hard stuff. And then I agreed with her and reiterated. 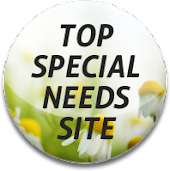 You know there are quite a few things that no one tells you going into this special needs journey. First of all, no therapist can tell you that you'll probably end up curled up in the fetal position more than your special needs child, crying in agony over your life and the daily tasks that are so physically and mentally draining. They don't tell you because they can't. Most don't even know that end of it. No doctor will tell you that you will probably spend the majority of the days in your new life helping your child go poop by way of finger. They don't tell you because they don't advise it but what I don't advise is the alternative because let me tell you-it aint pretty. No mom, no doctor, no therapist, no friend, no neighbor, no pastor, no NOBODY is going to tell you about the intense feelings of pain, grieving and suffering you endure for your other children when you suddenly bring a child with special needs into the world. As if it's not hard enough to grieve for yourself and learn how to navigate these new waters on your own, you also have the extreme responsibility of pulling your other little people through this time that is confusing, painful and sad. And I said all the things you would expect me to say because that's what a good mom does, but in the pit of my stomach I am sad too. I am hurting too. And at the end of the day, Nora knows that. She is mine and I am hers and she can sense it. She knows it is all different. She knows it is all hard. I have to look at these little redheads and I carry so much guilt for them, on top of my own. I carry so much sadness for them, on top of my own. I carry so many worries, fears, anxieties for them, on top of my own. Sure they are learning remarkable lessons about people 'who are special,' people 'who are different,' and everything that is going to make them grow up well rounded and extremely versatile but they are also learning more about occupational therapy and g-tube feeds than they are about the alphabet or Dr. Seuss. When I brought Mabel home and Nora held her with such extreme pride and affection, I literally felt my heart soar. I had given her the sister that I had. A best friend, a companion, someone to poke fun at or someone to be on my team-always. Someone to share clothes with and throw water on in the bathtub; someone to cheer for during softball games or hold on to during a breakup. Jeni was in the room the day that the Dr. told us that he had made a mistake--our third baby was not a boy after all, but a baby girl. And as Daniel felt shock and frustration at the mistake, Jeni and I looked at each other and grimaced. We have a secret that others don't have. And I gave that to Nora on July 16th, 2010. It turns out that I gave her moments of fear when she sees Mabel in new equipment or when she has to be admitted yet again for a mystery fever. I gave her nights of dreams that should be happy and exciting but only upset her because when she wakes up she realizes that her baby sister doesn't walk and she doesn't talk. She only lays all day long, tapping her hand and chewing on her tongue. Instead of telling strangers of the adventures she and her sister are having together each day, she is telling them that Mabel can't see her or doesn't eat. I gave her a sister, sure. A sister that she adores and loves more than anything. But into the future, Nora's relationship with Mabel is not what I had dreamed for my oldest redhead. And I feel sad about that. I feel sad that some day, rather than having lunch together and gossipping about husbands Nora may be spoon or tube feeding her sister and her own children. Will she be changing her diaper when they are teenagers? Will she lay awake and worry about Mabel the way that I do now because she loves her so much? The reality is that Nora and Braden are wonderful now and they will be wonderful then. They love their sister and I know that it will all be ok. But it doesn't make it any less hard for me to think about. It doesn't make it easier when young, far-too-little minds are asking deep questions that involve true emotions. Braden cried watching her awareness video. Nora talks to her in a special voice. They both protect and love her so fiercely and I am proud of that. But I am also so so very sad for them as well. And I can't help it. And I can't change it. So I'm tapped out today. The well has run dry. I had a good cry and I think it will be better tomorrow. At least, it always is. Somehow, with gentle and tender mercies, the Lord always sees me through these days to the next and I am so grateful. His peace is sweet. No words big enough to wrap around this pain. Praying and loving you and your whole family, Ramee.